AC-Powered Operation. Five foot power cord. 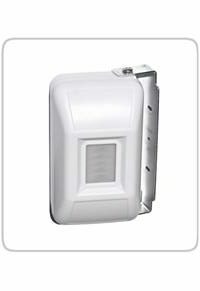 Dual Beam Infrared Sensor to provide IN and OUT counts. Maximum Counting Span of 25 feet. Stores 12 months of hourly, daily, weekly and monthly counts. Walk to the counter to read and record the count data. 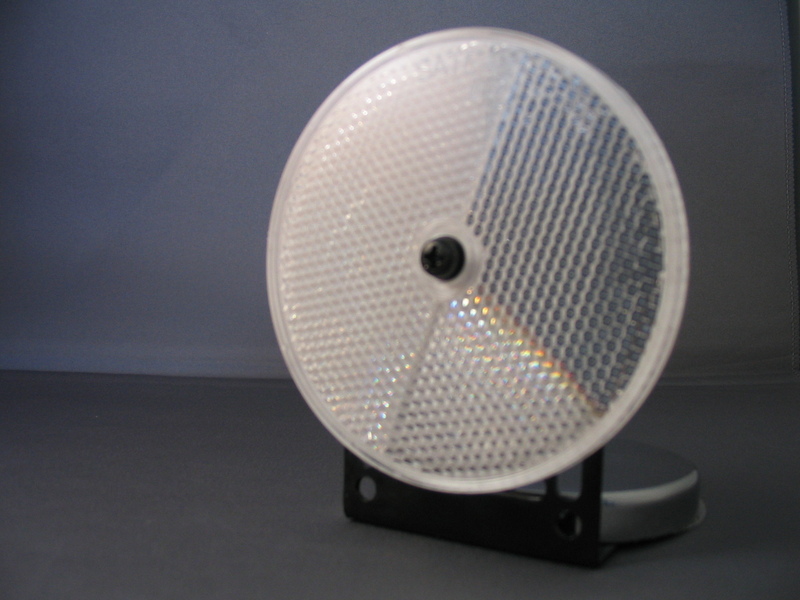 Typically configured, tested, and ready for shipment within 5 business days. Typical delivery via UPS Insured Ground Shipment of 3 to 5 business days. The operation of the Directional CountRecorder people-counter is very simple. Two Infrared Beams are sent from the two transmitters and reflected back to the receiver. When someone walks through the beams, the beams are interupted, and a IN or OUT count is registered. 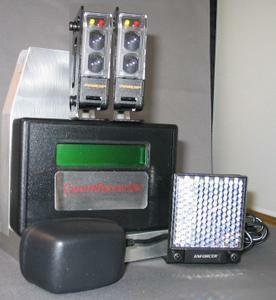 The maximum distance between the infrared beam break people counter sensor and the reflector is thirty(30) feet. 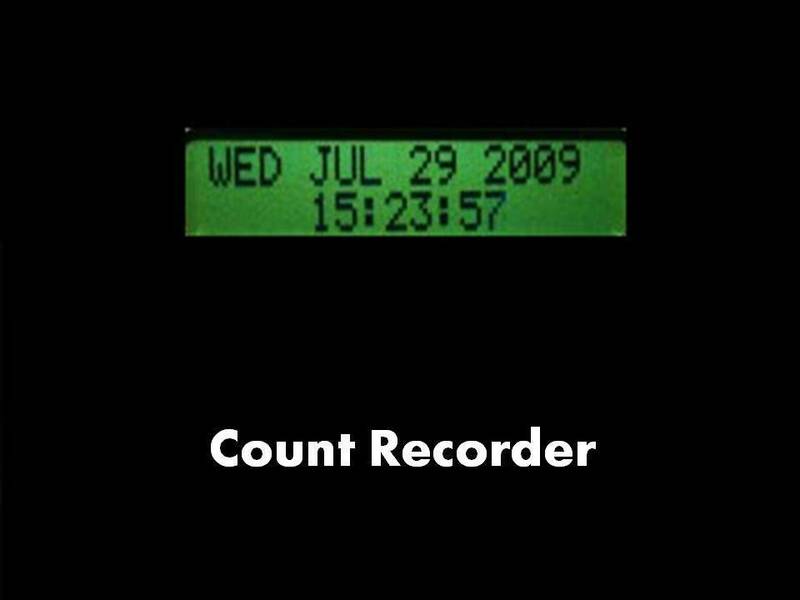 The Directional CountRecorder People Counter counts people as they enter and leave, and you can input a ‘DIVISOR’ to automatically divide the stored count by any number to adjust the count. The onboard memory stores one-year’s worth of hourly, daily, weekly and monthly counts. You walk to the counter to read the IN and OUT counts. 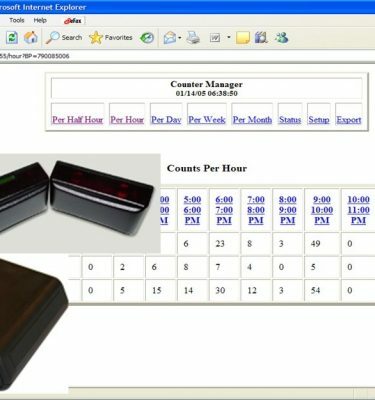 The display box allows you to easily retrieve HOURLY, DAILY WEEKLY and MONTHLY counts by pressing buttons on the display box. 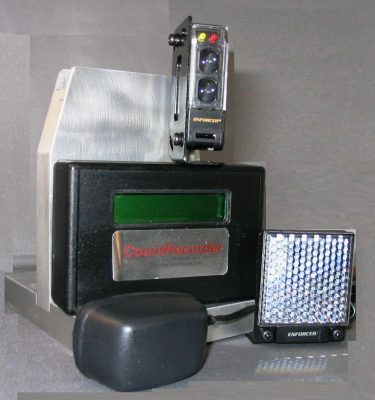 The CountRecorder is the result of 13 years of experience in designing, manufacturing and supplying People Counters. This AC-Powered People Counter never needs batteries and there are no Annual Maintenance Fees! The ac power cord is 5 foot long. 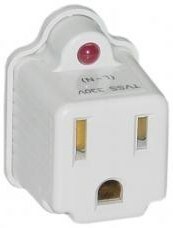 We recommend use of a surge protector to protect the CountRecorder from power fluctuations. The counts will be saved in the event of loss of ac power.